Not My Job: Starlee Kine Gets Quizzed On Bugs Bunny Kine is the host and creator of the Mystery Show podcast. We attempt to mystify her with three questions about the beloved cartoon character who debuted 75 years ago this week. We invited Kine to play a game we're calling "What's up, Doc?" This last week marked the 75th anniversary of the debut of Bugs Bunny. We'll ask Kine three questions about the beloved cartoon character. And now the game where we ask people who should know better about things they don't know at all. So the big surprise hit last fall - the phenomenon - was the podcast "Serial" in which they explored a mystery without ever solving it. That's why we think the next big hit in podcasts will be "Mystery Show." 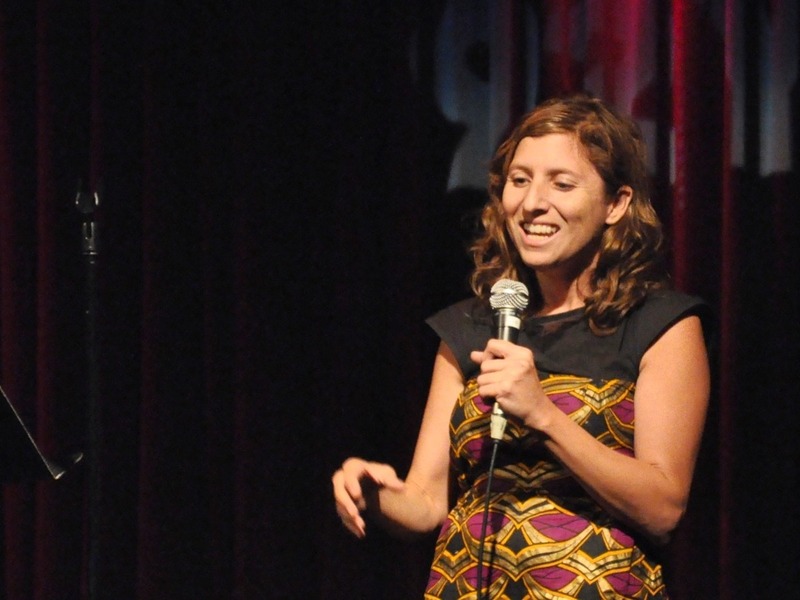 STARLEE KINE: I'm Starlee Kine, and this is "Mystery Show." UNIDENTIFIED MAN: (Singing) Where is there time? KINE: Every week I solve a new mystery. UNIDENTIFIED MAN: (Singing) Why is there space? KINE: Mysteries that can't be solved online, mysteries you can't solve yourself. Up until now, there hasn't been anyone to help with this. That person is now me. SAGAL: Starlee Kine, welcome to WAIT WAIT ...DON'T TELL ME. SAGAL: So, Starlee, can you tell me how you came up with "Mystery Show?" KINE: I really love mysteries. KINE: I love mysteries, and the amazing thing - if you do a podcast about something you love, the things you love appear before you. SAGAL: So have you become, like, a consulting detective? People are coming to you with mysteries that you're, you know, like, Starlee Kine, you're my only hope. KINE: Oh, yeah, for sure. SAGAL: Well, let's talk about the kind of mysteries you're solving because you're not doing murders. You're not doing - at least not yet. Maybe I missed that one. KINE: (Laughter) What do you mean, the Britney Spears one? You're saying that wasn't about murder? SAGAL: No, well, the Britney Spears one is perhaps my favorite of the ones you've done so far. So let's talk about this - somebody came to you with one question and what was that question? KINE: Why was Britney Spears reading the book - my book that I wrote that no one else has ever read? SAGAL: Right, so your friend wrote this very obscure book, but there's a picture of Britney Spears carrying it. So in order to do this, you - what's amazing about these podcasts is not so much necessarily the mysteries that you're solving - although that's a very interesting mystery - but how incredibly dogged you are in tracking this down. SAGAL: You - I mean - and you call up everybody. And you try to - you go to the mall where Britney Spears shops. KINE: OK. I went - I asked everybody I knew if they had a way to get to her. And it turned out a lot of people did have a way to get to her. But then the pathways all closed. But it was kind of surprising that most people are at least a few degrees connected to Britney Spears. KINE: Well, like, one person - like, I put out a call and then someone's aunt was related to Britney's boyfriend. And then - but the aunt didn't have email or use phones and she had to send a letter to the aunt. And then the aunt - and then the trail went cold. KINE: And then I went to the mall where Britney's regularly photographed and I asked everybody there, and they all had a Britney Spears story. SAGAL: What you did, if I remember correctly, is you said, all right, I'm just going to pay to meet her and you bought some expensive ticket where you get to go to her concert but meet her backstage beforehand, right? KINE: She has a meet and greet that she does in Vegas for her Vegas shows, so I paid to do the meet and greet. SAGAL: Right. You call up Ticketmaster. SAGAL: And you start talking to this guy and he unburdens his heart to you. KINE: Yeah, as Ticketmaster representatives. SAGAL: That doesn't happen to anybody else. KINE: (Laughter) I had already - I was calling to see how much time I would have with Britney when I got to the meeting part of the meet and greet. KINE: And then I just - I asked him if he - he thought about Britney Spears. And then he started telling me about his family and his dad dying when he was very young and then how he feels very insecure. I'm like, he's not full - he's not worthwhile and then I told him he was worthwhile and he was a good person. You know how it goes. He taught me a lot of stuff. We talked a lot about cooking. There's like (unintelligible) where he gave me a lot of cooking tips. MAZ JOBRANI: Doesn't Ticketmaster record the calls? JOBRANI: Isn't there, like, a supervisor? Like, afterwards they'd be like, hey, listen, dude, you can't be talking about cooking with people that call in. Like, don't they have that? KINE: Well, I guess of all the things that they might have talked to him about, cooking might have been the least of it. I don't know. KINE: Maybe they told him to quit his job. SAGAL: You've done how many episodes now? SAGAL: Six - and you solve every case, right? SAGAL: Do you think of yourself now as a detective? SAGAL: You do - well, what kind of detective are you? Are you kind of like a Nancy Drew or are you like a Philip Marlowe? Are you a Sam Spade? SAGAL: Tell me what you mean by that. How are you like Columbo? KINE: I have a dog. KINE: And Columbo's whole thing was that he, like, asked a lot of questions - like, you're always, like, oh, is he gone yet? Oh, no, he's there - there he is asking another question about my life. And that's what I do, too. JOBRANI: So, like, Britney thought she was innocent, but then you're like, but I got one more question, Miss Spears. SAGAL: Oh, yeah, Miss Spears, one more thing. ROXANNE ROBERTS: These seem like short mysteries. I mean, I could - I could think, like, maybe instead of having to track down and talk to the Ticketmaster guy, you could've, like, tweeted Britney and say, hey, how come you read that book? And then 140 characters later, she was like, oh, I got it as a birthday present, you know? It could've been a short. It could've been a 10-minute mystery. KINE: I'd like to see how far you'd get with it. ALONZO BODDEN: Was she shocked that you asked her about a book? Like, with everything that you could ask Britney Spears about, was she surprised that your question was about an obscure book? KINE: I felt she was relieved that it was about a book. KINE: She definitely looked - she definitely looked taken aback by the question. SAGAL: ...That - you'll have to listen to podcast. BILL KURTIS, BYLINE: Ah, What's Up, Doc? SAGAL: I'm sure you know this last week marked the 75th anniversary of the debut of Bugs Bunny, arguably America's most beloved cartoon character, after, of course, Donald Trump. SAGAL: We're going to ask you three questions about Bugs Bunny. If you get two right, you'll win our prize for one of our listeners. That is Carl Kasell's voice in their voice mail. Bill, who is Starlee Kine playing for? KURTIS: Max Otterman of Stockholm, Sweden. SAGAL: All right. Here's your first question. Bugs Bunny's catchphrase, of course, was what's up, Doc? But it wasn't always. What was his first catchphrase? Was it A - holy parabola; B - jiggers, fellers; or C- I will kill you last. KINE: (Laughter) I think B.
SAGAL: You think B - jiggers, fellers. You're right. SAGAL: And I say that - I say that only with sadness because I think it'd be really cool if Bugs Bunny looked at Elmer Fudd and said, I will kill you last. SAGAL: But it was jiggers, fellers. The very first version of Bugs Bunny, he looked different from what we're used to. He popped out of his hole and he looked at Elmer Fudd and said, jiggers, fellers. Next question - Bugs Bunny's trademark snack was, of course, the carrot, but that might not have happened if who had gotten their way? A- the Utah Celery Company once offered everybody at the studio a lifetime supply of their product if they switched Bugs to a celery diet; B - Chuck Jones, the head of Bug's animation studio, who thought that carrots sapped men of their, quote, "masculine fluids;" or C - the House on American Activities Committee, which said in a report that carrots, being orange, were too close to red. SAGAL: You're going to go with celery. SAGAL: ...Tried to get Bugs to eat their vegetable or product, but he stuck with carrots. Last question - Mel Blanc - Mel (pronouncing as blank) Blanc I should say. He was an American. Mel Blanc voiced Bugs Bunny for 50 years, but his recording sessions had to be regularly interrupted as Mr. Blanc did what? A - snorted piles of cocaine. SAGAL: B - spit out the raw carrot he had to eat to make the noise of Bugs eating a carrot; or C - waited until the Bugs personality took over his mind again. KINE: Yeah. He was like - he was method. SAGAL: He was very method. He had to wait till he felt like - till Bugs spoke through him again. SAGAL: That's awesome to think of, but it was actually he had to spit out the raw carrot. SAGAL: Yeah, 'cause here's the thing. He found there was no better way to make the noise of chewing a carrot like Bugs chews except chewing a carrot, but Mel Blanc hated carrots, so he'd have to chew the carrot. He'd spit it into a garbage can, clear his mouth and then start again. So there you are. JOBRANI: I'm so happy it wasn't the cocaine. SAGAL: Bill, how did Starlee Kine do on our show? KURTIS: Two out of three, that's a winner in our book, so you did well, Starlee. SAGAL: Starlee Kine is the creator and host of the new fantastic podcast "Mystery Show." I highly recommend it. Starlee Kine, thank you so much for joining us. BRITNEY SPEARS: (Singing) Oops, I did it again. I played with your heart, got lost in the game, oh, baby, baby. Oops, you think I'm in love. SAGAL: In just a minute, Bill does his best to let it go in the listener Limerick challenge. Call 1-888-WAIT-WAIT to join us on the air. 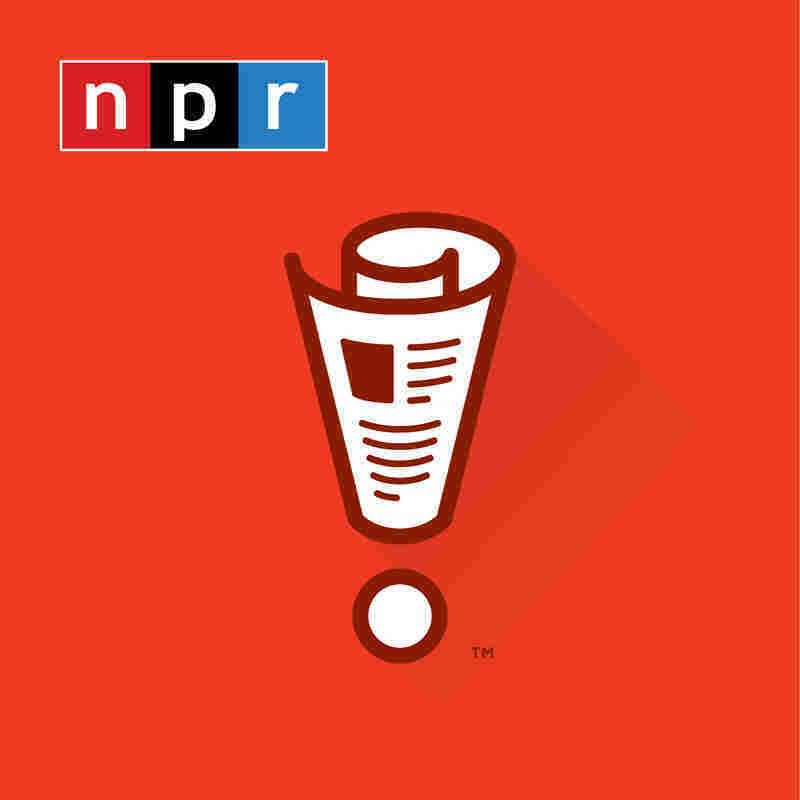 We'll be back in a minute with more of WAIT WAIT ...DON'T TELL ME from NPR. KURTIS: Support for NPR comes from NPR stations and Progressive Insurance with insurance for cars, home, boat, motorcycles, RVs and commercial vehicles at 1-800-progressive and progressive.com. Lumber Liquidators, a proud sponsor of NPR, offering more than 400 styles, including hardwood, bamboo, laminate and vinyl, with flooring specialists in hundreds of stores nationwide. More at lumberliquidators.com or 1-800-hardwood. And Fifth Generation, Incorporated, maker of Tito's Handmade Vodka. Still independently-owned by Tito Beveridge, distilled and bottled in Austin, Texas; American-made and gluten-free. KURTIS: Recipes and more at titosvodka.com.